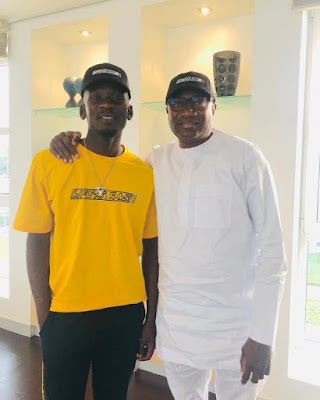 Femi Otedola received his daughter’s boyfriend, Mr Eazi in his office today and he shared the photo on social media. The billionaire business man shared the above photo with the caption: “Eazi does it! Received @MrEazi at my office today!”. Otedola’s daughter, Temi Otedola, who has been dating Mr Eazi for a while now reacted to the photo writing, “Mineeee” along with lovestruck emojis.